In February of 2017, JaVale McGee had enough about appearing on Shaqtin’ A Fool, on a weekly basis. McGee had been the laughing stock of the NBA during his Shaqtin-career for his blooper-filled highlights. This led to a Twitter fight between Shaq and JaVale who threatened and insulted each other. The Golden State Warriors, McGee’s team at the time, then reached out to TNT to express the negative portrayal of JaVale McGee on O’Neal’s Shaqtin ‘A Fool is hurting their player’s reputation, as well as the team’s. Shaquille O’Neal promised Turner Sports (TNT) that he is finished with the JaVale McGee beef and will stop further jokes about him. A lot has changed since then. McGee hasn’t appeared on Shaqtin’ A Fool ever since, and more importantly, he’s a two time NBA champion. Far from being a laughing stock now. 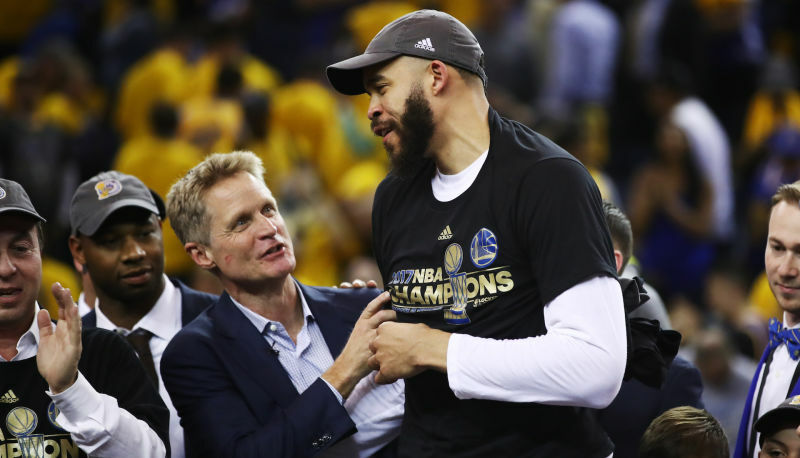 JaVale is a Laker now, and prior to their game at Oracle against the Warriors last night, he received his second ring, and a lot of cheers for the Warriors crowd.